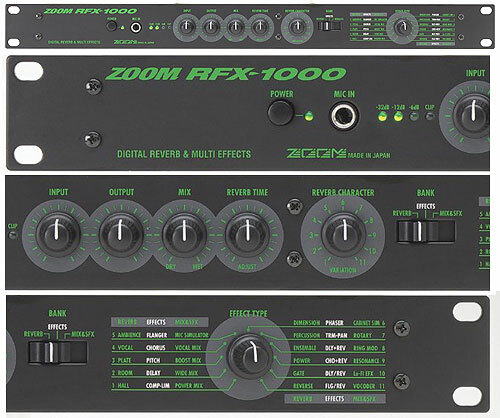 The ZOOM 9030, released about 1990-91 - it wasn't too cheap, sorta low-end 'quality' price, and it is a pretty comprehensive multi-fx unit in a half-rack width size. The 9030 features ana analog path distortion, limiting & compression, then a digital path of 47 fx such as 'verbs & delays & chorus's etc plus eq... you can roll these into 7 simultaneous effect combi's, and store those combi's in 99 user memory locations. 16 bit 44.1 fx, midi control. Nice touches like a front accessible line Input and a headphone socket too !! 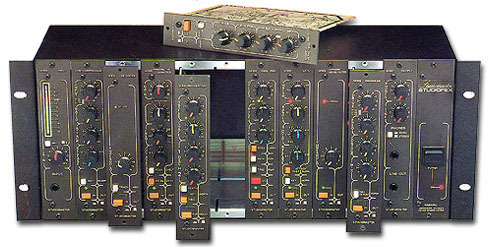 - probably worth a look/listen if one appears in your freead's and you are seeking a cheapish multi-fx.. remember the compression/limiting built in, which makes it a bit more useful than some 'additive' fx only multi-fx in the available cheap s/h budget arena?.. user comments please..
Had it for years and love it. Pretty noisey but still great for inspiring crazy sounds. Distortion channel is cool if its not set too high, makes nice responsive rock rythm crunch. Problem is the distortion channel is broken now, boo hoo. [quote] alain dionne wrote: yes i m searching the zoom 9030 user manuel someone can help me [/quote] added, it's on this page above.